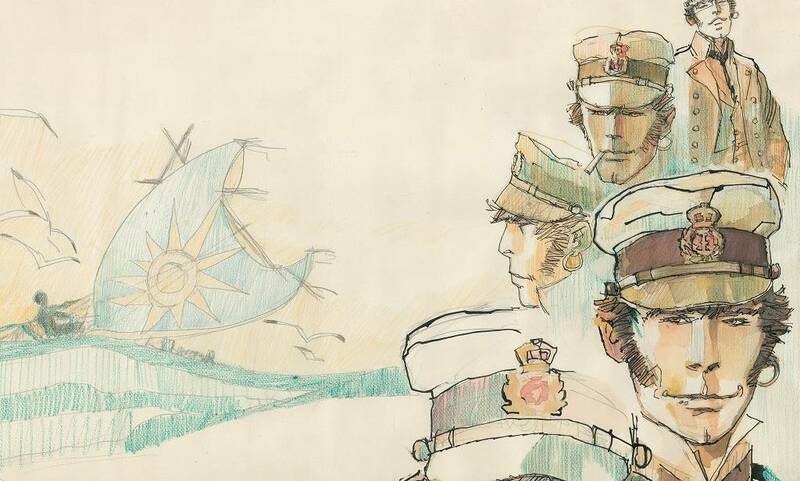 Corto Maltese: The Ballad of the Salty Sea, premieres tomorrow at Teatru Manoel! c. 1976 Cong SA, Switzerland. All rights reserved. Tomorrow, Corto Maltese: The Ballad of the Salty Sea will hit the stage at Teatru Manoel for its World Premiere! The performance begins at 8.30pm. A second performance will be held on Saturday 22nd September. Grab your tickets now from teatrumanoel.com.mt. The narrative follows one of the adventures of Corto Maltese, a sailor, traveller and lover of adventure born in Valletta’s infamous Strait Street on July 10th, 1887, to a British sailor from Cornwall and an Andalusian-Romani gypsy. As a boy growing up in the Jewish quarter of Córdoba, Corto Maltese discovers that he has no fate line on his palm and therefore carves his own with his father’s razor, determining that his fate is his to choose. Corto spends his life travelling the world in search for adventure, ruled by nothing but his own freedom. Besides being a sailor, he is often found helping the disadvantaged and the oppressed. The minute he sets out to sea, he never looks back, travelling across continents to Egypt, Singapore, Buenos Aires, Brazil, Chile, Argentina, China, the Caribbean Islands, the Pacific Islands, Mongolia and Italy, among many others. The Ballad of the Salty Sea is the first story ever written about Corto. It follows the story of a group of pirates and smugglers, led by Captain Rasputin, who are busy plying their trade in the Pacific Ocean when they stumble upon a man adrift at sea. His hands and legs are tied to a raft. His name is destined to become legendary. This man is Corto Maltese. What did he do to deserve such a cruel punishment? What is hidden behind his enigmatic gaze? Even Pandora and Cain – two teenagers from a wealthy family who have also been captured by Rasputin – question his presence. Little do they know that this chance meeting will change their lives, along with those of millions of readers, forever.